I found these on my tomato plants this morning. I got to close and then I cried “what the heck is that?” I had never seen one before. 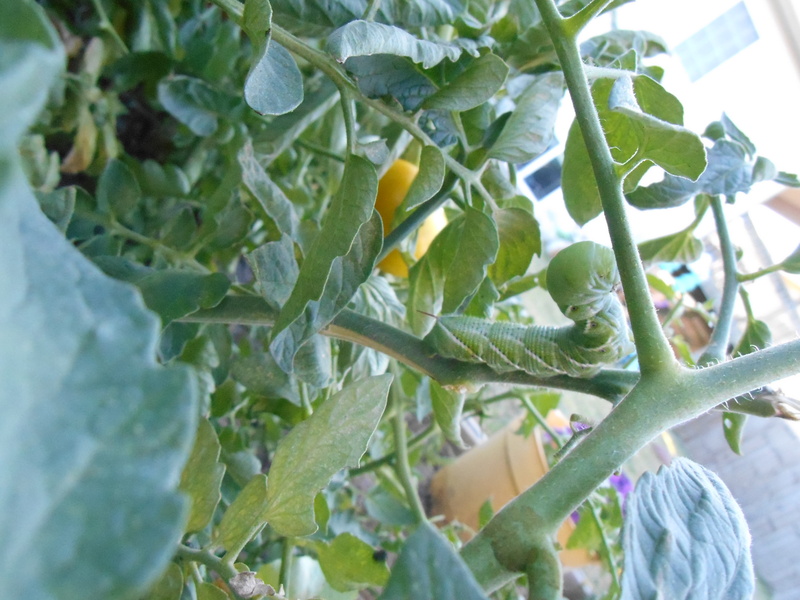 They were clearing off the leaves on my plants and some tomatoes. They look rather sad now. Evidently they are hornworms, and there’s nothing to do but take them off. No, I did not use my hands directly. I’m a little squeamish for that. I can tell you that they squirt green juice if it takes a while to take them off with a long metal scooper thing, yes, that is the technical term. I found four of them this morning, and just now I found two more. 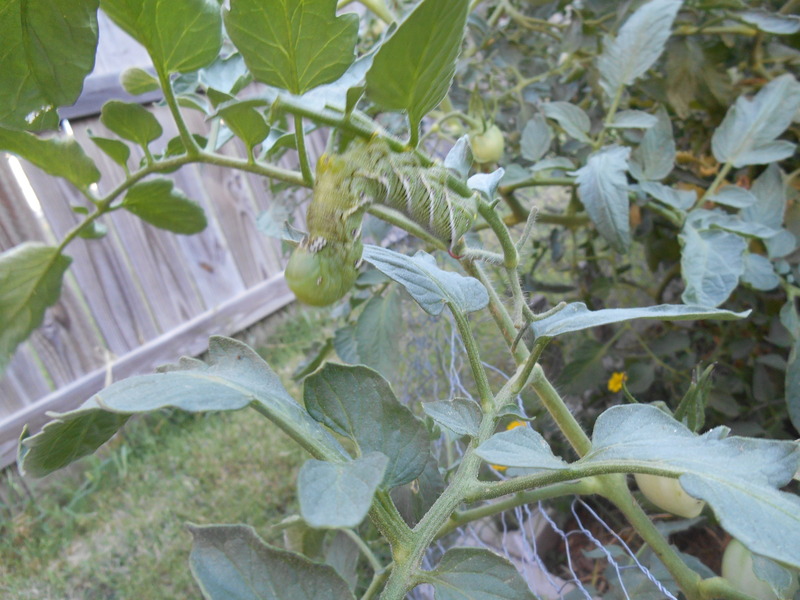 I took four of my almost ripe tomatoes off the plants just in case I didn’t see one and it decided to eat my whole plant while I was sleeping. This morning when I was picking them off, my daughter and nephew, 3 and almost 3, respectively, were pointing and saying “worm!” and screaming. They told me they saw a worm… everywhere apparently. I never really understood how annoying it was to have someone cry wolf.